Centered on its historic Green, The Town of Morristown is a socially and ethnically diverse community offering a wide range of amenities to residents and visitors alike. 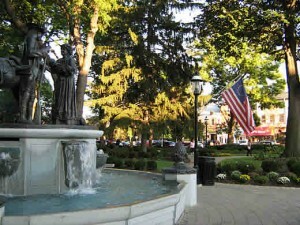 A state-designated “regional center”, Morristown is the County Seat of Morris County and the home of both Morristown Memorial Hospital and a wide range of cultural facilities. George Washington really did sleep here, for Morristown served as his headquarters for two different winter encampments during the Revolutionary War.